Where does Beatrice go during her art-fueled adventures in Rome? 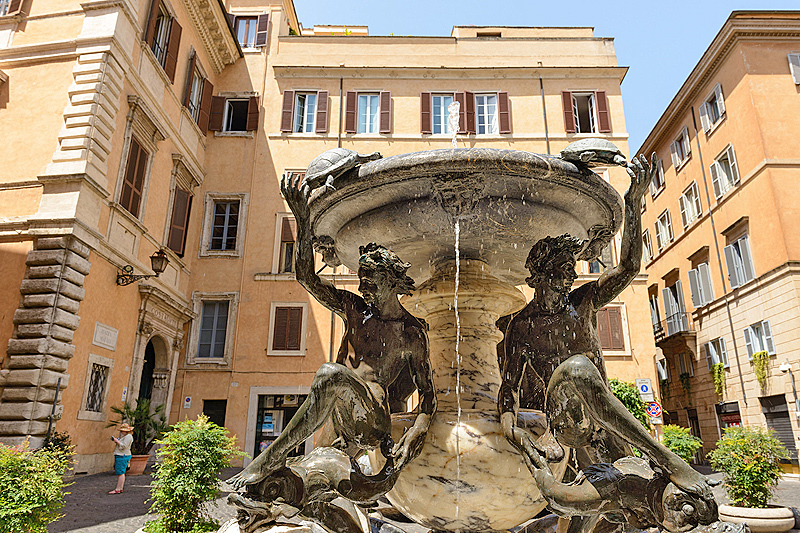 What spots does she encounter on her quest to restore Bernini's turtles to the fountain? Take a virtual tour of Rome in the footsteps of Beatrice Archer. Haven't read Beatrice's story? Order your copy of Midnight in the Piazza here (US), here (UK), or here (Italy). This fountain is the first thing that Beatrice falls in love with in Rome, and she falls for it hard. She can't explain why she loves it so much, but it probably has something to do with the adorable turtles scrambling up to the top basin. That's why she's so devastated when she witnesses them being wrenched off the fountain in the middle of the night. And why she vows to discover who stole them and restore them to their rightful place. Beatrice is admiring this ancient Roman site when she encounters the tour guide Nigel Bandersnatch. She's pretty impressed that after 2000 years, it's still in pretty great shape. In order to find out more about this fascinating ruin, she sneaks into Nigel's tour group, and well, let's just say, that doesn't end well for her. You can't really blame Beatrice, who after all has only been in Rome a couple of weeks, for confusing the Theater of Marcellus with the Colosseum. It does have some similarities at first glance. But after humiliating herself in front of a group of strangers, Beatrice will never make that mistake again. Who could forget the walled-up window of Palazzo Giacomo Mattei that looks out (or, rather, looked out) over Piazza Mattei? It's the first oddity that Beatrice discovers when she starts investigating. 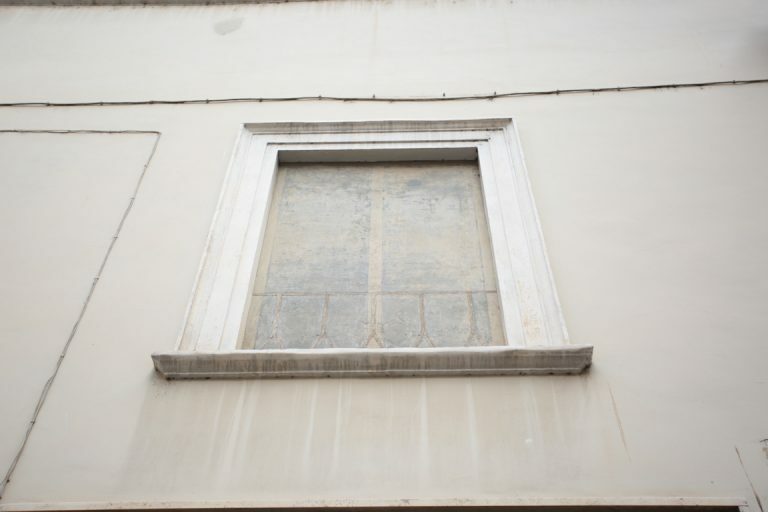 The window-that-was is easy to find: standing beside the Turtle Fountain, face the only white building in the square--that's Palazzo Giacomo Mattei. The fake window is located right between the palace's two large original doorways. Marco shows Beatrice this wall of small Jewish monuments on Via della Reginalla, a narrow medieval street that leads from Via del Portico d'Ottavia to Piazza Mattei. "This means we're near one of the original entrances of the Ghetto," he tells her solemnly. 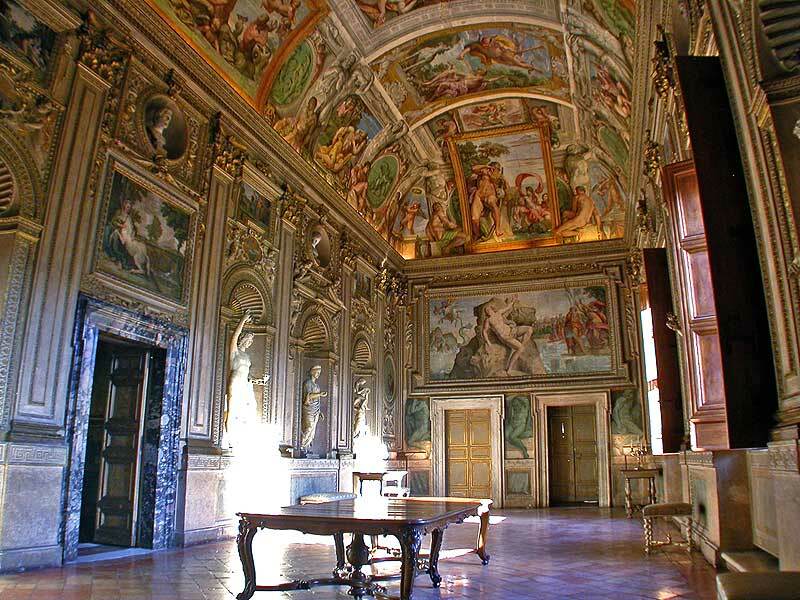 It's no easy feat to gain access to the splendid frescoes by Annibale Carracci inside Palazzo Farnese. It's the French Embassy and a highly guarded place after all. Luckily, Beatrice's tutor Ginevra has connections and pulls some strings to secure a visit. But art is just the beginning of the discoveries Beatrice makes while inside this opulent palace. What better place for a late summer concert than the glorious courtyard of Palazzo Mattei di Giove? Too bad Beatrice has other things on her mind... like finding a way to give her dad the slip and break into the palace!